Anthony joined the agency in 2012 and is responsible for running MullenLowe Open’s global network and its flagship UK office. Anthony has over 17 years agency experience and is recognised as an industry expert in CRM, activation and retail marketing. He is proud to have worked with some of the world’s most innovative marketers, including Unilever, Etihad Airways, Coca-Cola, Diageo, Cadillac, Lenovo and Microsoft. Anthony joined MullenLowe from Saatchi & Saatchi X, where he led the London office from 2008 until early 2012. Here he led the agency’s P&G business across EMEA and was responsible for developing the Diageo relationship for the network. Anthony joined Saatchi & Saatchi X after a spell at Publicis Chemistry Group, where he was acting Head of Strategy and Planning. Whilst there, he worked with brands such as Emirates, Dove and Aviva. 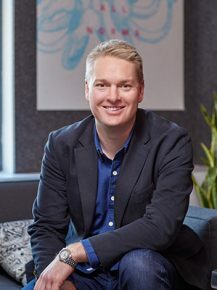 Prior to this, Anthony worked at The Marketing Store Worldwide in Sydney as Client Services Director and Deputy Managing Director, and spent almost 8 years with Dynamo Marketing in London.